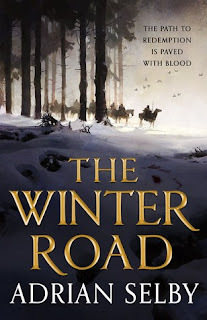 The Winter Road is Adrian Selby’s second journey into the world he started with the excellent (albeit occasionally impenetrable) Snakewood. That said, this is a standalone, rather than a sequel, occurring generations before the events of the other book, and without any direct ties. With that in mind, what is there to like about The Winter Road? Well, there’s the world. There’s the people in it. And there’s the story that they tell together. The narrative shines, as individuals feel hope and pain and regret and love and betrayal, against a backdrop which shapes them as much as they act upon it. Each is a part of a greater whole, and together they make something with real energy, real spark, and real humanity. So, the world, then. In some ways, it’s a tightly coupled one. Families hold to their land. Some swear loyalty to others, and there’s the sense of a slowly evolving feudal sensibility. But the numbers involved seem relatively small, each family keeping an isolated holding, each family separated by hours or days from its nearest neighbour. What binds them is a web of blood, but it’s strained at the edges. That isolation is visible further up the chain as well. Though there is a family at the head of the society shown to the reader, they have a limit to their reach – there are sections of the surrounding land, ‘The Circle’ that are outside of their reach, that haven’t been contacted for generations. And in the distance are murmurings of larger, more centralised states, with standing armies and potentially acquisitive natures. This is a world which is connected within itself, but not outside itself. Where there’s a sense of something lost, a knowledge that once, those missing parts of the Circle could be spoken to, eventually. Selby does an excellent job of showing us the wilderness of the Circle. Its land is vast, ans often hostile, with a penchant for semi-desolate plains, for snow, for people living in mountains and more than willing to drop a rock on your head if you might be carrying food. The prose carries a sweeping, stark, brutal grandeur, which matches the environment perfectly. You can feel the harsh crunch of the snow and the frost on your breath, or the slow thrum of verdant growth from the towering vegetation that is the mysterious stopped heart of the Circle. And the road. It’s an actual road. Outposts flickering along it like candles in a gale, as it inches forward around the Circle, trying to reconnect everything that’s lost. This is a detailed, well thought out world, with its own history, culture and dreams, all of which help to inform the decisions of the people that live in it. It not only seems real in the instant that you read it, but has enough depth behind it to make you want to know more, as well. Speaking of the people behind it – the protagonist of the tale is Teyr Amondsen. Teyr is a relative rarity, a woman who became a soldier. She’s also something more of a rarity, a soldier that came home alive, and came home rich. In a world where combat is typically hand-to hand, and where the ingestion of plant-based ‘brews’ provides seemingly supernatural strength and speed at the cost of a comedown and long term side-effects, actually surviving to spend your money is a novelty. But Teyr has come home. The narrative has two interleaving layers – one, Teyr’s story as she starts on an expedition to help build out her great dream, her road. And one in the aftermath of that expedition, as she deals with the conseqeunces and what happens next. The earlier of those gives us a wonderful insight into a complicated woman. Tired of picking blood out from under her nails, not content to simply sit on her hands, she’s making something happen. There’s some wonderful subtexts here about why Teyr decides to go big or go home, why she wants to bring the Circle back together. It isn’t afraid to look at her relationships, her past, her family – they all tie together into a web of connections which help her feel human. Maybe this is someone doing the right thing, but they’re doing this specific right thing for their own reason, too – a history which is largely off the page, but which is masterfully implied for the reader to pick up and run with. Speaking of family – Teyr’s relationship with her immediate family, a spouse and child, is a joy to read throughout. There’s a complex emotional boquet about it. Teyr is unashamed of lioving her man in part for his looks, and there’s a certain sexuality running through the undertones of their dialogue. But there’s also romance, affection, and a wry practicality in her dealings with both spouse and son which will probably be recognisable to many parents. It’s to Selby’s credit that the sense of love, the familial warmth that overruns Teyr when she looks on her family, is so palpable. You can taste the way she cares for them, feel their importance in every incidental gesture. There are silences, and arguments, and discussions, and moments of self doubt, Which makes it all feel the more alive, the more real. It’s a relationship which feels genuine, a partnership doing its best, and even on the occasions where it stumbles, the interaction in this family is always a fantastic read. Tetr is happy, at least some of the time, but it isn’t all she is, to be sure. The darker side is there, one which is willing to take fight-brews, to break heads, to do whatever she has to do in order to meet her goals. But if she’s sometimes (literally) lethally direct, she’s never less than sympathetic. This is bold, honest characterisation, drawn with a finely detailed brush. Admittedly, to stretch the metaphor, the brush is sometimes covered in someone’s blood. But it has an emotional sharpness and intensity which mean that understanding Teyr is simultaneously very easy and a long term project. The way she is, the end-point of her pasts, leaves her raw and broken and healing and husbanding regrets and living in hope. What all that makes Teyr, is alive. I cared about her story. I wanted to see where she’d been, and who she’d become on her journey. I was drawn in to her relationships, to empathise, to sympathise, to condemn, to understand. Teyr is a pitch-perfect protagonist, a multi-faceted woman who doesn’t take any crap, lives with her demons, and keeps on moving forward from a world which scarred and still scars her – and is also a loving spouse and caregiver, and a veteran killer. The plot? Well, I won’t get into it too much. I will say that some of the narrative complexities of Snakewood have been pared away. Though there are the interweaving narratives as the core of the story, connecting them is fairly straightforward, and it shouldn’t be too difficult to keep track of what’s happening, and to whom. The rest? Well, I’ll let it be a surprise. But there’s a lot in here, that’s for sure. Teyr is building a road, in a land which hasn’t had much use for trade and talk, and may even seem absurdly proud of its isolation. That means politics. Which in a world connected by blood, also means family. But there are other, larger problems on the horizon, and Teyr really has no idea what she’s getting into. There’s some fantastically kinetic, dirty, bloody fight scenes which made me wince. There’s acts of casual villainy that provoked a gasp or the occasional swear. But this isn’t entirely grim. It’s not all bad people doing bad things for bad reasons. There’s hope in here, there’s people doing good because they can, trying to do the right thing, and sometimes even succeeding. There’s struggles against enforced cultural norms, on all sides, and a fair swathe of betrayal, heroism and sacrifice. It’s also Teyr’s story, the story of where she is, how she got there, and the price she paid. The narrative serves as an emotional stiletto, its emotional edge surrounded by hard words and hard fighting, making a book which it was impossible to put down. This one is an absolutely cracking read, and I’d suggest you go pick it up right now. 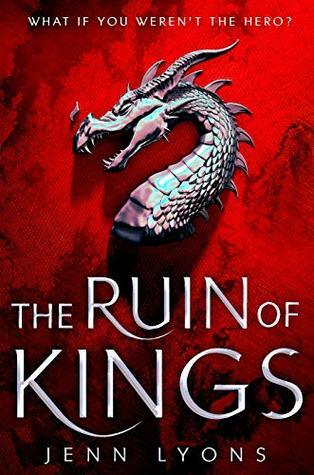 The Ruin of Kings is a debut fantasy novel from Jenn Lyons – and it’s really rather good. It core is the story of Kihrin, sometime orphan and occasional thief. It’s possible though that he has the capacity to be something more. I have to say, I rather enjoyed the style of the text. The book is split into two narratives – one looking at Kihrin’s youth, and another more concerned with recent events. They come from two different narrators, each with a unique voice and prose style. This interleaving also means that explanations and context for one part of the story are provided in a drip feed fashion from the other. How did the later Kihrin get where they are? What were the choices which led them there, and what will they do next? The two stories reinforce each other, and I found I wanted to know as much about what had gone before as what was going to happen next. The story takes place in a world with a richly imagined past of its own. There are gods, a rich tapestry of divinities which humanity pays homage to from its spired citadels. Largely they seem to stay quiet and out of the way, but their undeniable presence is a weight on the world. As is the presence of demons. They are, really, not very nice at all, with a penchant for large scale atrocity, stomping around the place, setting things on fire. In between the divinities and the demonic sits humanity. Much of the action takes place in a thriving metropolis, at the heart of an empire. The Emperor has the power – and indeed the duty – to banish demons when they appear. He’s surrounded by noble houses, each of which control vast mercantile interests – and magic. Oh yes, there’s magic here too, ranging from the repair of minor wounds, through speed and strength, to the sort of world ending meteor throwing which makes you sit up and take notice. We see both sides of this city over the course of the text; the flea-bitten slums, where every breath is a gift and a curse, where you’re one bad deal away from a knife in the back (or the front) are filled with a vicious energy, a richly imagined tapestry of chaos, violence, and personalised authority. The halls of the nobility are hardly any better – albeit possibly cleaner. The houses are in a constant whirl of politics, where the price for a mis-step is being poisoned, imprisoned, or quietly murdered. Much like their counterparts in the lower echelons, the leaders of these houses are hardened, ruthless, and not at all averse to getting a little blood on their hands to get a result. The swirling tides of deals and backstabbery is marvellously realised. You can smell the blood in the water with every word these slick politicians drop – and that they can back up their words with superior firepower only makes it better. The characterisation is top notch, especially of Kihrin, in both his past and present incarnations. Watching a cynical but eager youth grow into a more measured man is a delight. That he is convincingly careworn and scarred helps highlight the contrast with his younger self as they converge throughout the volume. The text builds Kihrin up and tears him down in equal measure – but at every step he feels conflicted, feels hurt, feels emotional, feels raw, feels…human. Some of the other characters are perhaps a little less nuanced (though in fairness to them, they may also be demons), but most of the supporting cast have backstory which makes us feel alongside them, and makes them feel real. The world is a lavish one and between KIhrin and his cohort, we have players enough to make it feel real. But what about the story? Well, it ticks the tension up gradually, simmering the reader in the world and the characters for a while, marinating their questions and concerns. Once it gets going though, once you’re invested, it’s near-impossible to put down. The physical stakes are high, yes – life, death, empire, the end of the world. But they’re also personal – family, love, trust, betrayal are key themes. This is a book which isn’t pulling any punches. Actually, it’s probably using brass knuckles and coming at you with an attitude. This is smart fantasy. It’s clever. It wants you to think about what you’re reading, about character, about consequences. And it wants to show off world-shattering events, and do so with some cool magic and a world which vividly displays a wealth of imagination. It’s good stuff, is the short version. A great debut, and a series (and an author) to watch. Give it a try. The Gutter Prayer is a debut fantasy novel from Gareth Hanrahan. Hanrahan has also written more than a couple of tabletop RPG sourcebooks, some of which I’ve read and enjoyed, so this isn’t his first rodeo. That may help explain the technical excellence – the high quality of the prose, the tight plotting. 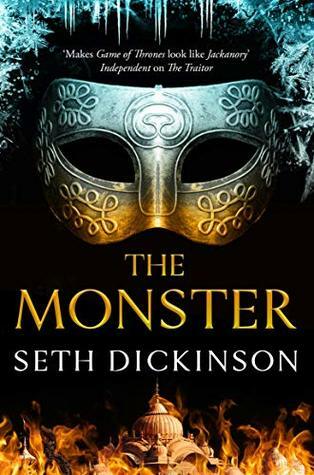 It does less to explain the sheer imagination on display, the clever ideas it picks up and shows off, and the sense of high paced, high stakes adventure. Put that all together, and you’ve got a fantasy novel that you’re going to pick up and have great difficulty putting down again. The story starts as it means to go on, with a bang. Our protagonists are thieves in a heist gone wrong, left scrambling to evade the very long arm of the law. But even as they struggle to survive the consequences, other events are preparing to make things far, far more complicated. I need to talk about the trio that are the centrepiece of this book. They’re a wonderful found family, existing in part with affection and connection, and in part out of necessity. And they’re also a complex people in their own right. I mean, let’s talk about Carillon first. Leaving aside that she has a great name, she’s…complicated. Always edgy. Always looking for the next angle. Always a little suspicious of when the dice let things go her way. Sneaky, intelligent, and willing to do the right thing if she has to. Carillon is a young woman with principles (although those principles may involve the acquisition of things which may not, strictly speaking, belong to her), who is more than willing to back those principles up by sticking a shiv in someone and then running away really, really quickly. I like her sense of realism, I like that she’s willing to compromise on a lot of things, but won’t let her friends down, I like the way she’s driven toward her goals, and isn’t overly willing to take crap from anyone. There’s also the sense that there’s a past to her, something which the text explores as it proceeds, giving us a flawed, determinedly human character. Short version: She kicks arse, and comes across vividly to the reader. The same can be said of Spar. Spar is chronically ill, a Stone Man. His disease is slowly calcifying him, from the outside in. On the plus side, this means he can be immensely strong, immensely durable. On the downside, any damage is an opportunity to see more of himself lost to the stone. Spar is perhaps more methodical than Carillon, but just as lost. The son of a famous father, trying to live up to that expectation, live out from under the shadow of another man, whilst also bearing a fatal, contagious disease – well, it’s a weight to bear. And we can see Spar struggle with it, trying to be the person he wants to be, rather than one of the ones he’s expected to become. It feels like Spar is the most introspective of the three, one willing to slow down and think things through; though sometimes you just want Carillon to give him a kick in the arse to get him moving, once he uis, he won’t stop. I love Spar and the way he moves from placidity to obdurate action. I love that the story wants to examine fatal illness and coping mechanisms, and does so with nuance and grace. I love that Spar can act as a mobile siege platform, and break down doors with his pinkie. I also want to take a moment and say that the disease that is slowly turning Spar into a statue is as well realised as he is, a core facet of his identity, and an imaginative and repulsive one – people recoil in the street, there’s a sense of fear and wonder and anger and despair about Spar and the other Stone Men. It’s a masterful portrayal of human, visceral reactions and really helps establish his character (even as Spar deliberately doesn’t let his illness define that character!). Then there’s Rat. Rat’s a ghoul. Ghouls, well, they see in the dark. They run fast. Sometimes they do a bit of magic. They have trouble with surfaces, and with people. Also, sometimes they eat people. The story has more revelations about ghouls, so I won’t spoil them here, but I’ll say this: the society that is constructed for Rat to come from is dark, and potentially brutal. There’s a lot of inky darkness, sheer strangeness, and more than a little blood. The ghouls are the underbelly of the city, but they’re also people. Well, some of them. But they’re always slightly off kilter. Rat’s voice is a quietly but focused one, which carries a very distinct perspective – one of movement, scents and magic, with moments of loyalty. Ghouls are strange, hungry, deadly – but Rat’s also willing to help out his friends. There’s a common thread there, between the three, of hope and decency and trust, and that helps give us characters which we give a crap about, and which feel like they have their own experiences, and which feel alive. If that’s a lot to take in – well, they live in a city with a lot more going on. Guerdon is a metropolis of layers, geographical as well as historical. Sometimes they intersect. There’s a sense of age here, of history, of things lost and long forgotten in the catacombs beneath the streets. There are stories of mad old gods in centuries past, and there are stories of how the religious leaders of a more enlightened time were forced to accept trade and religious liberalisation. This is a world where Saints are real, and will be more than happy to take your arm off with a flaming sword after they’ve had a stiff drink and lost at a hand of cards. Where crazed deities shift reality to suit themselves, and where everyone else tries to stay out of the way. This is a city of gold and blood, where alchemy has provided guardsmen made of wax, who run and fight faster than anything you’ve seen, but whose life is measured in the wick they’re burning down. It’s a city of hidden sorcery, and politics in both the halls and in the streets. 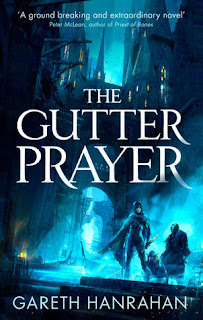 Guerdon lives and breathes, and while doing so, it showcases some seriously impressive worldbuilding – the city is darkly scintillating, a feast for the imagination found in its blood-clogged gutters. Which is a long way of saying, the stage on which our characters find themselves is a very well constructed one; it’s a richly imagined, precision-crafted world of its own. The plot? Well, no spoilers, as ever. But I’ll say this. What starts out as a less than simple robbery very quickly takes a turn and becomes something more. There’s magic. There’s conspiracy. There’s eldritch forces moving underfoot, and everything. As our intrepid gang try to get out of all the trouble they accidentally fell into, they end up in very deep waters indeed. Part of this narrative is an adventure story – with chases, with explosive magic, with strange terrors and unexpected wonders on each page. Part of it is a personal, family story – how far someone will go to protect their interests, or those of their friends, or their city. And the price they’ll pay as they do so. I do the narrative a disservice in description – it’s a complex, multi-layered, living breathing thing, and the pieces come together over the course of the book like well-machined clockwork. It’s a big story, about gods and the fate of cities. But it’s also personal, about our three friends and their relationships with each other and with the world. Yes, it’s an adventure. Yes, it’s a character piece. Yes, it’s epic. Yes, it’s deeply, bitingly, a story of individuals. What it mostly is, is an absolutely cracking story – one you’ll want to tell your friends about. So pick it up, and give it a read. It’s a heck of a journey. Full disclosure: When The Traitor Baru Cormorant (or ‘The Traitor’ in the UK) came out, I raved about it to anyone who would listen. I still do. It was, easily, one of the best books of its release year. So I met the sequel with a great deal of anticipation, and, through no fault of its own, the story had some rather high expectation set for it. I think so. The Monster Baru Cormorant (just 'The Monster' in the UK!) is a complex, thoughtful book. It examines identity and empire, the way people are shaped by the forces around them and what they can do about it. It looks at revolutions, their costs and consequences. It explores internal ethics, and the politics of judicial murder. It talks about trust, and about vulnerability. It’s a story of love and loss (often at the same time). And it doesn’t flinch away from making that loss bloody, figuratively or literally. It’s dense with personal examinations, with politics, and with the occasional poisoning. It’s also a book about consequences. Baru has, if not everything she wants, then certainly everything she worked for. She’s part of the elite of the great Falcrest imperial project, a guiding hand that can shift politics from afar, with gunboats or currency. Perfectly positioned to redirect or, perhaps, scupper that project. Baru is a titan. She is, however, also bereft. The story shows us how she copes with loss, and the answer is…not always well. However, as a character study, it’s incisive, insightful and unforgiving. Baru drinks too much. She makes impulsive, perhaps unwise judgements. She somehow manages to step out of herself and be something more, and crawl back into her own personal hell of internal judgment and second-guessing simultaneously. The portrayal of grief and loss, the process of, if not acceptance, accustoming oneself to a missing part, is played pitch-perfect. This examination of love and grief is, I think, the emotional heart of the book, and it has the brutal, razor-edged honesty which compelled so much in the first book, but it’s backed by something new; we’re given different points of view here, from others around Baru. There are old friends, but also peers, and those who see her as a threat, or an enemy. Getting those distinct perspectives from time to time, seeing the world from another set of eyes, lets us see the harm living inside the protagonist, as well as how successful she is in masking it. These other viewpoints also invite consideration of what seem like good decisions through other eyes, and the picture they paint is equally intelligent, equally nuanced, and often not as accepting of Baru’s motives as she is. There’s a lot of introspection going on here; characters are questioning themselves and their motives as well as each other, which is always fascinating. Taking a deep dive into potential antagonists, and seeing them as the heroes of their own stories, of their own resistance, is wonderful – and makes the impacts they have on Baru (and vice-versa_ all the more terrible for our empathy. It’s not all scheming and self-recrimination, mind you. 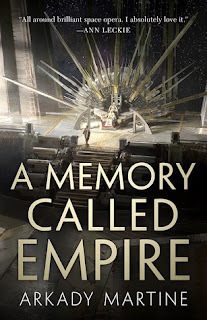 It’s also the story of how Baru is off on a journey to look into some oddities and weirdness for her not-quite-superior in the cabal that runs the Falcresti empire. But there are people who look on her rather askance, and have their own schemes in play – and several of them are going with her. But they do see marvels and horrors along the way. We get to see the Mbo, sometime foils to the Falcresti, whose social system, based on mutual support and understanding may mask a certain amount of class division, but seems baffling to the remote, incisive cipher Baru wants to become. The Mbo are about people, about connection, about understanding and consensus – where Baru is a lone intellectual blade on the board, they’re a net. Whether they’ll snare her is another matter. But it’s marvellous to see a cultural antidote to Falcrest, even if it inevitably has its own demons. The character work isn’t just limited to Baru (and her enemies!) either. Aminata surfaces again, wondering if Baru is herself, or who she’s working for. Questioning her old friend’s motives, and wondering whether she needs to do her duty or put her trust in the Cormorant. But Aminata isn’t just a foil for Baru – she’s made her own choices in the meantime, has made her own reputation, her own legend, carries her own demons. Reading her parts hurts, because of what it shows us about people trapped inside a system they despise, and about the compromises they make within it, which can eventually break them. This is (less directly) explored throughout the text; the question of when you’ve become so compromised by the system that you become the system is an undercurrent in a great deal of the dialogue. Each of the actors is making their own decisions about how far they’re willing to go, and who else they’re willing to sacrifice – and for what. It’s a slow simmer under the multitextual layers of prose, but it’s there. I do want to talk about the prose for a moment. Dickinson brings the A-game here. I caught symbology, intellectual asides, callbacks. And that was on a first reading. It feels like there’s a lot here to unearth, a lot of meanings sliding in the subtext in the dialogue, a lot of understandings that need further parsing before I can really say I get the book. That it reads as cleanly and clearly as it does is a triumph. There’s a heck of a lot going on, even from an initial read; I ‘m looking forward to digging into the text again to see what other gems I can sift out of the text. 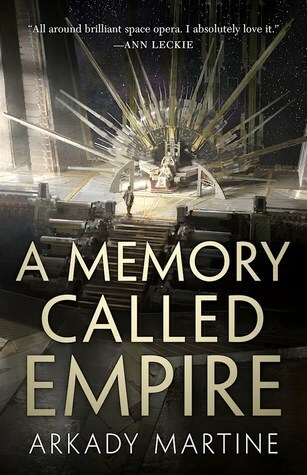 Coming back to my initial question – does this meet my expectations of a sequel to the superlative The Traitor? Yes, I think it does. It’s a different book though, structurally and narratively, as much as Baru is a different person. Much of the first two thirds feels like a slow simmer, as the pot gets warmer by inches, as Baru struggles to find her agency in a situation where the more power she hands out, the less she actually has. It’s interesting, mark you – seeing the world through other eyes, seeing Baru fall into a well of grief but try to function like a person. Seeing her pay price after price, and justify it to herself when others pay it – it’s painful, emotionally honest, and it kept me turning pages. And the back third is an absolute joy of dangers braced, horrors met, and Baru trying to understand herself and the world a little more. This isn’t always a positive story. There’s blood and death and moral qualms and philosophy and more than a little atrocity. But it always had interesting things to say and interesting ways of getting there. I think it’s built a solid foundation under its feet for whatever comes next; or, if you prefer, built a damn good fire which I suspect is going to set the world ablaze. If you’re coming to this fresh: Stop. Go and read The Traitor Baru Cormorant. You need the context that gives you, to feel the passion and pressure and despair and hope sliding around here under the words. If you’re coming in after reading the first book in the series: yes. It is good. Let it pick you up and carry you along in the story it has to tell. Even now I’m not sure if it’s the story you might expect, where Baru does amazing smart things to save the world. But it’s certainly one where a hurt and lonely woman drives herself to succeed against the odds, while asking herself what it is she actually wants. Yes, yes you should. You should read this.